Piotr Fryzowski has worked for us for the past 3 years, he has always been a hard-working, reliable and loyal candidate who has fitted into many different roles through our agency. We always receive excellent feedback from our clients regarding his work. 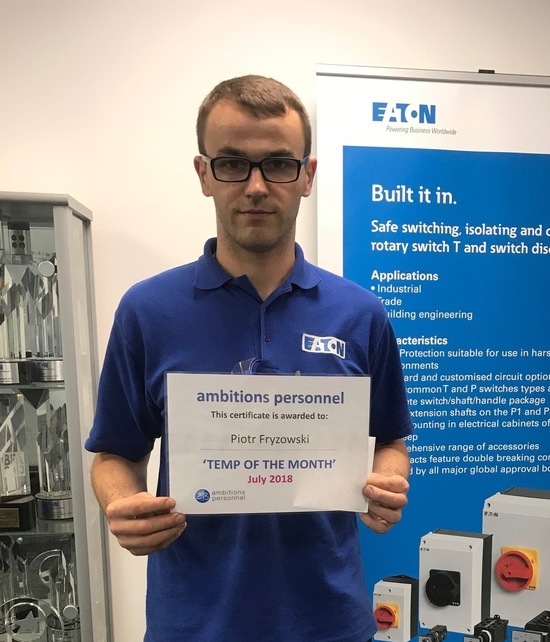 He is currently a very valued member of the team we have at Eaton Production in Worksop and has just been offered a direct contract through his hard work and dedication to the job. As a prize, Piotr was presented with a £25 one for all voucher, good luck with your career at Eaton Piotr!